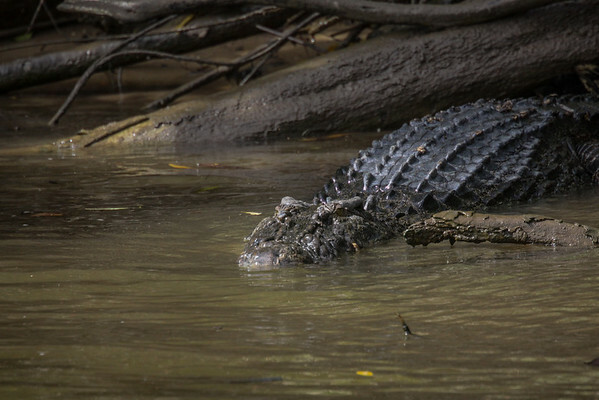 Saltwater Crocodiles on Daintree River in Queensland, Australia. 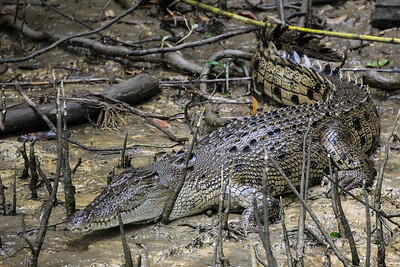 Saltwater croc known locally as Elizabeth. 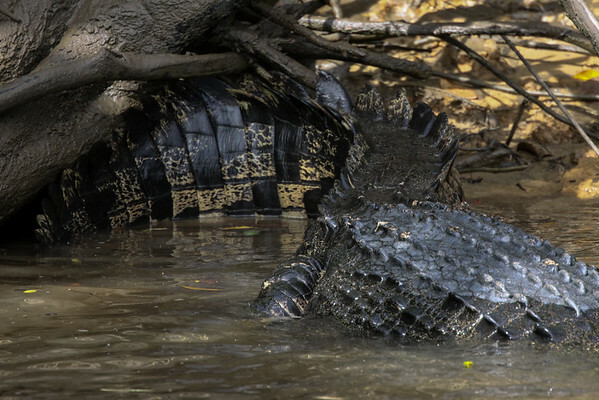 Approximately 10 feet in length. 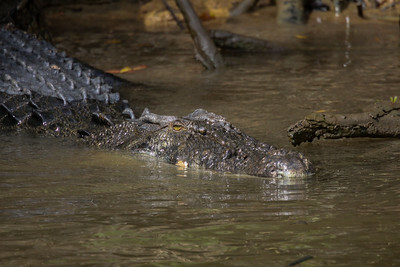 Saltwater croc known locally as Scar. Named by the local crab fishermen who work this part of the Daintree river. 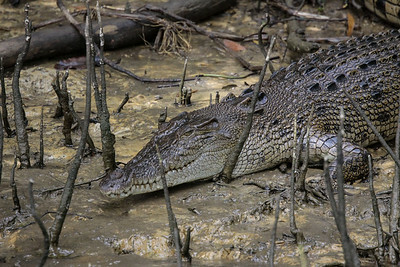 Croc got his head caught in a crab trap and rubbed the scales white on each side of his head. Approximately 14 feet in length.